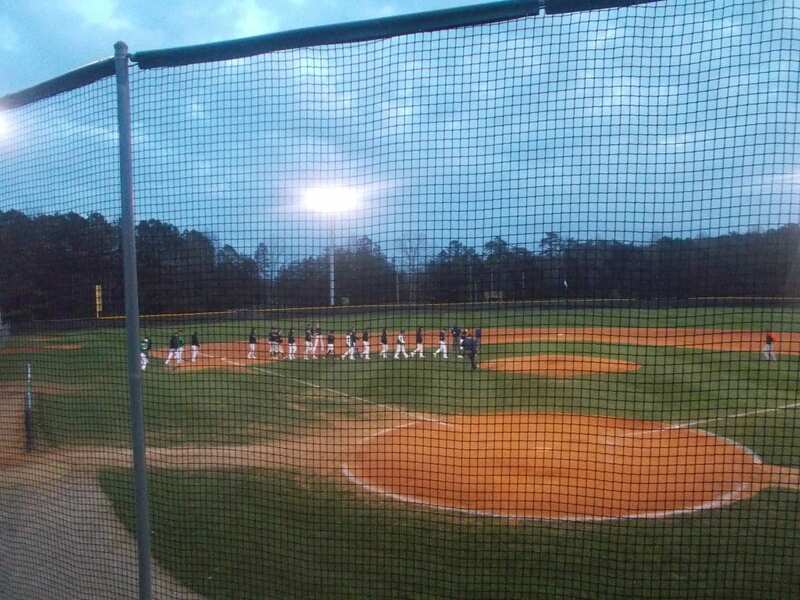 Yesterday afternoon & into evening, the PHS Dragons varsity baseball team, hosted the Lafayette Ramblers, for the first game of what looks to be an important series in terms of region standings, Pickens, came into the series in 2nd place at 4-2, but was looking to shake off a tough series with Northwest Whitfield. The Ramblers, came in just behind the Dragons at 3-3 in the standings. The top of the 1st saw the starter for the Dragons, Isaiah Payne, work quickly as he sat the Ramblers down on 9 pitches. Pickens, went quietly as well in the bottom of the 1st, sending us to the 2nd, still tied at 0. Payne, found himself in a little trouble in the top of the 2nd, but was able to pitch around it, and send us to the bottom of the frame. A lead off walk drawn by Jace Franklin, came back to haunt Lafayette as Caswell Smith would bring in Franklin on an RBI double, giving the Dragons a 1-0 lead, going to the 3rd. Payne, got out of the top of the 3rd, needing only 10 pitches to send us to the bottom of the inning. Hunter Hermann, got things started in the Dragons half of the 3rd, by getting hit by a pitch, taking 2nd base on a passed pick off attempt, & scoring on an RBI single by Dylan Huffman, to make 2-0 Pickens, going to the 4th. In the top of the 4th, Payne again worked around trouble as he would strikeout two Ramblers, sending us to the bottom of the inning. The Dragons, got hits from Chad Pacas, & Tyler Vreeland in the bottom of the frame, but left runners stranded at the corners, sending us to the 5th, Pickens still ahead, 2-0. In the top of the 5th, Lafayette cut the Dragons lead in half, as Payne got through the top half of the 5th, giving up the one run. Pickens, got a lead off double from Huffman, but were unable to bring him around, & we would head to the 6th, Dragons now leading 2-1. Cobly James would come on in relief of Payne in the top of the 6th, & needed 12 pitches, & collected 2 strikeouts to send the Dragons offense back up. A two out single by Vreeland, would be all Pickens would get in the bottom of the 6th, & we’d go to the 7th, Dragons up, 2-1. In the top of the 7th, Lafayette, was threatening to tie the ball game up or even take the lead, loading the bases up at one point in the frame. James, was able to get out of it, with the help of some good defensive plays, to give the Dragons the narrow 2-1 win over the Ramblers. Games 2 & 3 will be played at Lafayette in a doubleheader on Friday. First pitch for game 2 is scheduled for 4:40. « Previous Article Get One Now Before They Are Gone! 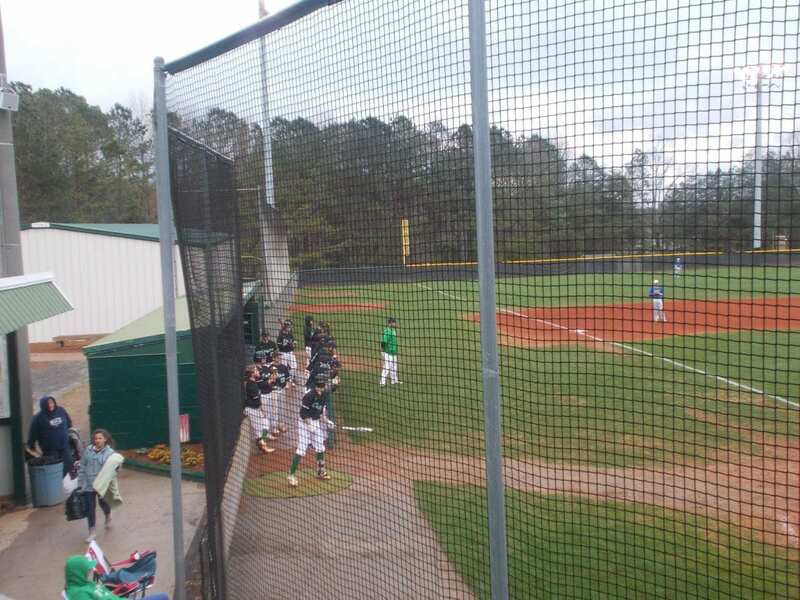 Yesterday, the PHS Dragons varsity baseball team traveled up to Tunnel Hill to take on the Northwest Whitfield Bruins in game two of the their 3-game set. On Tuesday, the Dragons got the upper hand in the series as they took game one, 4-2 over the Bruins. Coming into this game, Pickens looked to keep that momentum going, & take the series outright. The top of the 1st got off to a promising start for the Dragons as lead off hitter Brady Moore reached base after an error. However, Northwest Whitfield got out of the half inning with out any damage done. The starting pitcher for Pickens, Dylan Huffman, got off to a good start to his day as he would K the side, to send us to the 2nd. Jace Franklin kicked off the 2nd with a lead off single. Franklin would be stranded at 2nd as the Dragons were unable to score. The Bruins, took advantage of a lead off walk in the bottom half of the inning, as that walk would come into score after a pitch got away from the catcher. 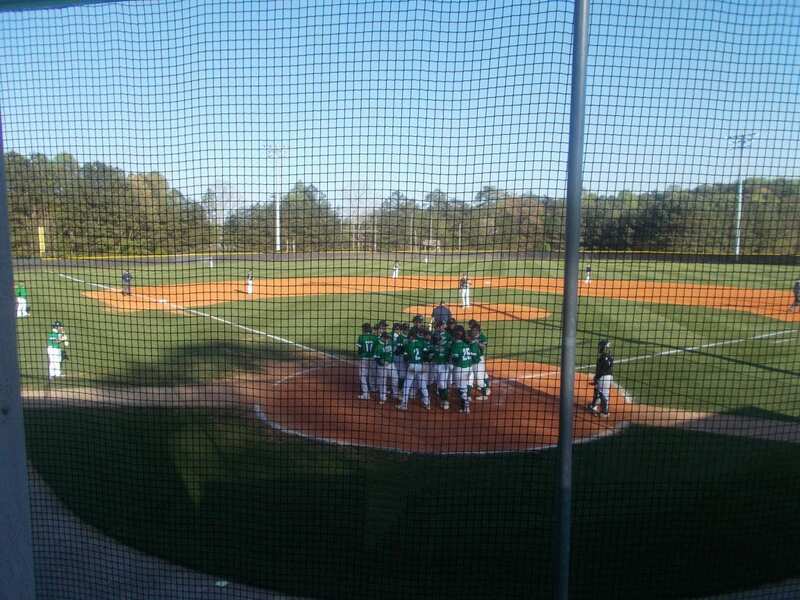 We headed to the 3rd, Northwest Whitfield lead the Dragons, 1-0. Tyler Vreeland, led off the 3rd with a single, but again, the Bruins would be able to work around it and maintain their lead, 1-0, going to the bottom of the 3rd. Huffman, would bring his strikeout total to 5 in the bottom of the frame as he kept Northwest Whitfield in check, and sent us to the 4th, Pickens still trailing, 1-0. Both starting pitchers kept the offenses for both teams scoreless in the 4th, as we’d head to the 5th, Bruins still leading, 1-0. The Dragons, broke through in the top of the 5th as Huffman, got hit by a pitch, advanced on a passed ball, & scored on a Moore RBI, to tie things up at 1, going to the bottom of the inning. With some good defensive help behind him, Huffman and the Dragons got through the bottom of the 5th, tied at 1 a piece. In the top of the 6th, Pickens had runners at 1st & 2nd, with 1 out, but could not take the lead. The bottom of the 6th saw Isaiah Payne come on in relief of Huffman, & got out of the inning with nothing doing for the Bruins. 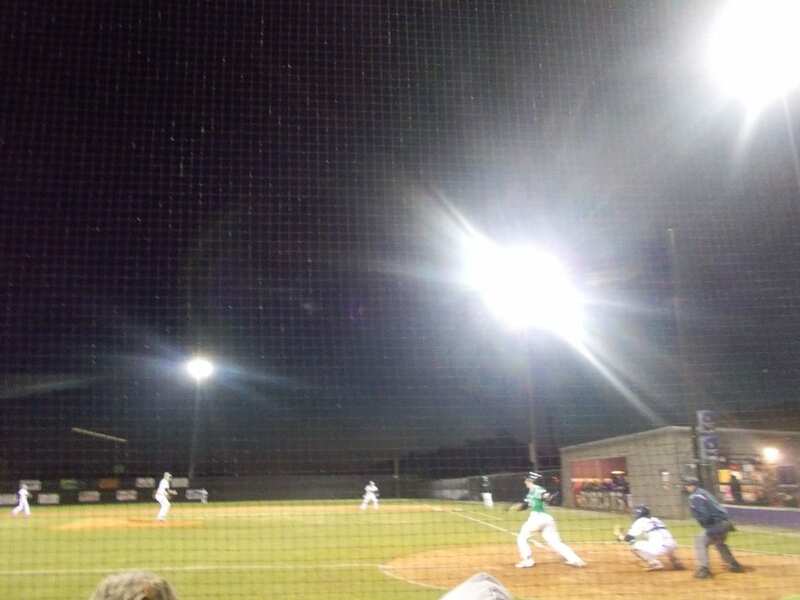 In the top of the 7th, Hunter Hermann reached on a 1-out single, advanced to 2nd after a pick off throw got past the 1st baseman, then scored after a RBI double from Huffman, to give the Dragons a 2-1 lead, going to the bottom of the 7th. Northwest Whitfield, would display a little timely hitting of their own as a single would bring in two runners, & give the Bruins the win, 3-2. The 3-game set between these two teams concludes today as the Dragons will welcome the Bruins of Northwest Whitfield to Dragons Field. First pitch set for 5:55 pm. 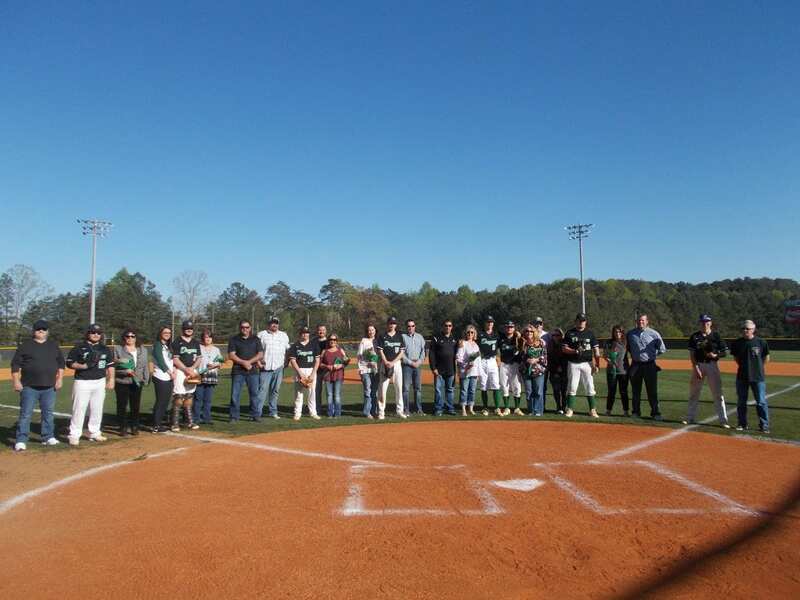 Yesterday afternoon, the PHS Dragons varsity baseball team welcomed the Northwest Whitfield Bruins to Dragons Field to begin their 3-game set. Pickens, came into this game 8-5 overall, but more importantly, 3-0 in region play after sweeping the Gilmer Bobcats to start region play. The Bruins, went 2-1 against Southeast Whitfield, & dropped all three games against Heritage in close fashion. Caswell Smith took to the mound to start for the Dragons and pitched very well. Smith would strikeout 2 Bruins batters to begin the game. Pickens, had an early chance to put some runs on the board, but would leave two runners stranded to send us to the 2nd, still scoreless. Smith would add to his strikeout total in the top of the 2nd, giving him 3 in two innings. Smith then led off the bottom of the frame with a single, but the Dragons would not be able to score as we’d head to the 3rd, still tied at 0. In the bottom of the 3rd, Pickens broke through and broke the tie after a 2-out RBI single from Jace Franklin brought in Dylan Huffman. Going to the top of the 4th, the Dragons held a 1-0 lead over the Bruins. Smith, struck out 2 in the 4th, bringing his total to 7 for the game, & keeping the lead at 1-0 in favor of Pickens. In the bottom of the 4th, the Dragons again did damage with 2-out as Brady Moore had a 2 RBI triple, & Joseph Gossett would follow that up with an RBI single to stretch the lead to 4-0 over Northwest Whitfield, going to the 5th. We pick up the action in the top of the 6th, as Northwest Whitfield got on the board, and cut the Dragons lead in half. Isaiah Payne came on in relief of Smith, & needed 1 pitch to get out of the 6th. In the the top of the 7th, Payne was able to end any potential game tying threats by the Bruins, and sealed the win for Pickens, 4-2. These two teams will play again tomorrow at Northwest Whitfield in game two of the three game set. First pitch set for 5:55.
on a cold, somewhat windy night, the PHS Dragons varsity baseball team made the short trip up 515 to Ellijay to take on the Gilmer Bobcats in game 2 of the 3 game set. On Tuesday, Pickens used a late inning rally to get the win in game 1, 7-5, & looked to carry the momentum built in that dramatic win, over to this road game. In the top of the 1st, Pickens got off to a quick start. Joseph Gossett & Jace Franklin had an RBI each in the top of the 1st for the Dragons as they raced out to an early 2-0 lead. The starting pitcher for the Dragons, Dylan Huffman, got out of an early jam in the bottom of the frame as Gilmer would leave runners at 1st & 3rd stranded. We headed to the 2nd, Pickens up, 2-0. The Dragons, had three runners come around to score in their half of the 2nd as Gossett & Franklin again provided an RBI each. Pickens now held a 5-0 lead over the Bobcats. Huffman, worked through the bottom of the 2nd, collecting his 2nd & 3rd K’s of the game, & sending us to the 3rd, Dragons leading Gilmer, 5-0. Both teams were quite in the 3rd inning. Action picked up in the bottom of the 4th inning, when Gillmer loaded the bases with 1 out after two hits, & a walk. Huffman, was able to calm himself down, & strikeout the next two Bobcats he faced, to get out of the inning without giving up any runs. Pickens, still held a 5-0 lead, going to the 5th. The Dragons, added another run in the top of the 5th, after Colby James came around to score after drawing a walk. In the bottom of the inning, Gilmer was able to get on the board, making it 6-1 Pickens, going to the 6th. The scoring, picked back up in the 7th inning as the Dragons batted around in the top half of the frame, plating 5 runs in the process, to stretch their lead to 11-1. Gilmer, plated 3 runs in the bottom half of the 7th, but it would not be enough as Pickens took this one, 11-4. With the win, Pickens takes the series. These two teams will meet for the 3rd and final time this week as the Dragons will look to complete the sweep when they host the Gilmer Bobcats at Dragons Field. First Pitch set for 5:55 pm. 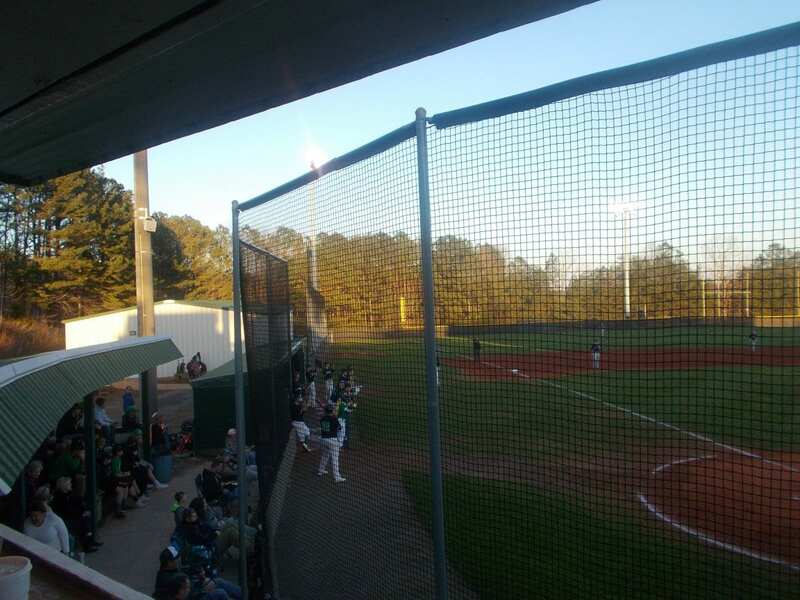 Yesterday, the PHS Dragons varsity baseball team hosted their rival, the Gilmer Bobcats, for the 6-AAAA region series opener. Pickens, came in on a tough two game skid, while Gilmer came in with their bats on fire after a 15-0 win over Murray County last week. This, was game one of a three game set. If the other two turn out like last night’s, this will be a fun series. Caswell Smith took the mound for Pickens in the top of the 1st. Smith, would surrender a 1-out single, but that’s all the Bobcats would manage in the top half of the 1st. In the bottom of the 1st, Pickens threatened early, but left runners stranded at 1st & 3rd, sending us to the 2nd, still tied. In the top of the 2nd, the Bobcats had runners at 2nd & 3rd, but Smith & the Dragons were able to escape it without any damage done. Pickens, would go down in order in the bottom of the 2nd, sending us to the 3rd, with no score so far. 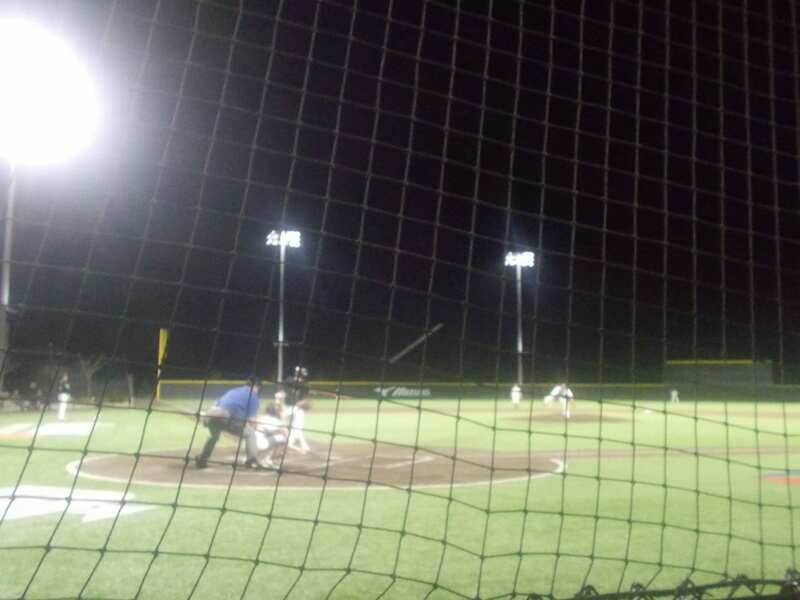 In the top of the 3rd, Gilmer was the first to breakthrough as they were able to plate a run, & take their first lead of the ball game, 1-0, heading to the bottom of the 3rd. The Dragons, countered with 2 runs in the bottom of the frame to take a 2-1 lead over the Bobcats, going to the 4th. Gilmer, countered the 2 runs Pickens put up in the bottom of the 3rd, with 3 runs in the top of the 4th. All three runs in the 4th, came with 2 outs. The Dragons, went quietly in the bottom of the inning, & we would go to the 5th, Bobcats ahead, 4-2. Gilmer, got a 2-out double in the top of the 5th, but new Dragon pitcher Isaiah Payne, was able to settle in & get out of the half inning. Pickens, again went in order in the bottom of the 5th, sending us to the 6th, Bobcats still leading, 4-2. Gilmer, added to their lead in the top of the 6th by scoring a run to make it 5-2. In the bottom of the 6th, the Dragons bats came alive. Leading the way for Pickens in the 6th was Brady Moore, who gave the Dragons the lead with a 2-out, 2-run double. Pickens, took a 7-5 lead going to the 7th. In the 7th, Moore came in to try to close it out and close it out he did. Pickens, was able to hang on and get a 7-5 region opening win. Pickens, is now 5-4 on the season, & 1-0 in region play. These two teams, will be back at it tomorrow afternoon in Ellijay. First pitch is scheduled for 5:55 pm. 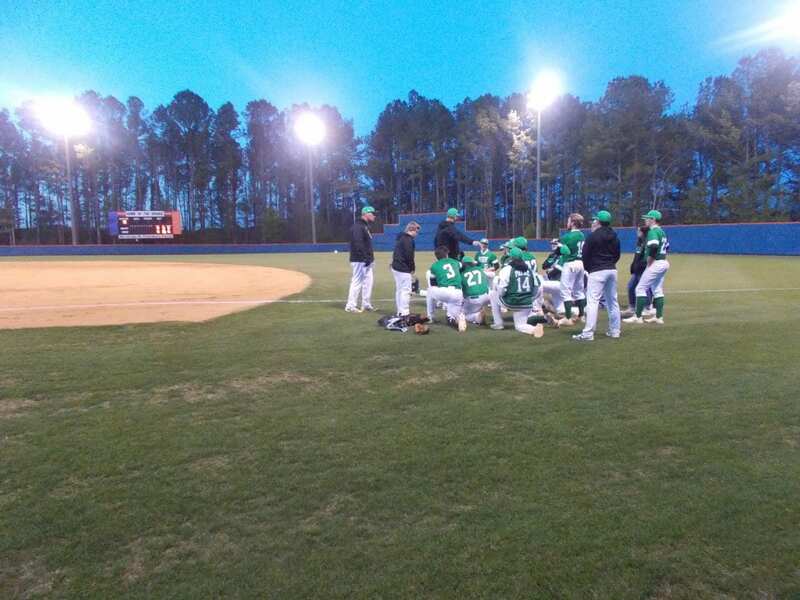 After falling to Roswell in the 1st game of the day, the PHS Dragons varsity baseball team got a chance to rest up a bit, before taking on Vidalia late Saturday afternoon. Vidalia, fell 4-1 to Roswell prior to their game with the Dragons. Will Lawrence got the start for the Dragons in the nightcap. Lawrence, were able to get out of early trouble in the top of the 1st, as Vidalia was only able to plate 1 run on 2 hits. Pickens, tied things up in the bottom half of the 1st after an RBI groundout by Joseph Gossett. We would go to the 2nd, all knotted up at 1. In the top of the 2nd, the Indians were able to plate a run to retake the lead, 2-1 over Pickens, going to the bottom of the frame. The Dragons, had a chance to tie the ball game up again in the bottom of the 2nd, but left two runners on, to send us to the 3rd, Vidalia leading 2-1. Lawrence, needed 13 pitches to get out of the top of the 3rd as he & the Dragons kept the Indians from adding to their lead. Pickens, would load the bases full of Dragons in the bottom of the inning, but were unable to get a run across, & we would head to the 4th, Vidalia still ahead, 2-1. The bottom of the 4th, was another chance for Pickens to tie the game, but stranded a runner at 3rd. Isaiah Payne, who came on in relief of Lawrence in the top of the 4th, needed just 9 pitches to get out of the top of the 5th, & send the Dragons back up for another chance at tying things up, or even taking the lead. In the bottom of the 5th, with 2 down, Pickens had a runner called out at the plate after he tried to score from 2nd after the Indians catcher, could not locate a passed ball. That, would send us to the top of the 6th, Vidalia still leading, 2-1. Vidalia, scored three runs in the top of the 6th, to strech their lead out over the Dragons to 5-1. Pickens, would not go so easily as they would get right back into the game in the bottom of the 6th. The Dragons, scored 3 runs, highlighted by 2 triples in the frame to cut the Indians lead to 5-4, headed to the 7th. After getting out of the top of the 7th without any damage done, the dragons came up in the bottom of the inning, looking to win it. Vidalia, was able to hold on after surviving a scare from Pickens. The Indians got the win, 5-4. Pickens, will look to shake off a pair of tough played games over the weekend as they will be back home on Tuesday as they welcome the Woodland (Cartersville) Wildcats out of 5-A to Dragons Field. First pitch is set for 5:55 pm.